Bandit disc and drum style hand-fed chippers, the clutchless drive option replaces a traditional friction plate clutch with a mechanical engagement of the drive belts. Now available on select Bandit disc and drum style hand-fed chippers, the clutchless drive option replaces a traditional friction plate clutch with a mechanical engagement of the drive belts. The clutchless drive reduces maintenance (including greasing and adjustment) and downtime associated with maintaining friction plate clutches. This design significantly reduces chipper maintenance and downtime by eliminating drive belt adjustments, engine position adjustments, and grease points associated with the clutch. Only the drive belt requires replacement when needed as per standard operation, the clutchless drive will not decrease belt life under normal use. Starting the disc or drum with the clutchless drive is easy to do by moving a lever with the engine at idle. The lever is slowly pushed until the disc or Drum is fully engaged and turning. The tensioner is self-adjusting and does not require any maintenance. 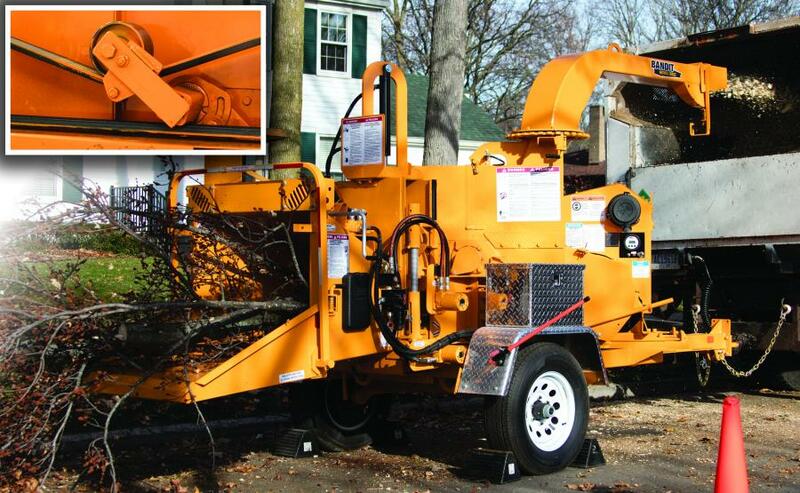 Visit Bandit online at www.banditchippers.com.